It is difficult to predict how your life will turn out the next day. Make sure to have a safety net or proper coverage in case things get out of hand. Get the insurance that you need with assistance from Allianze Insurance Agency in Horizon City, TX. 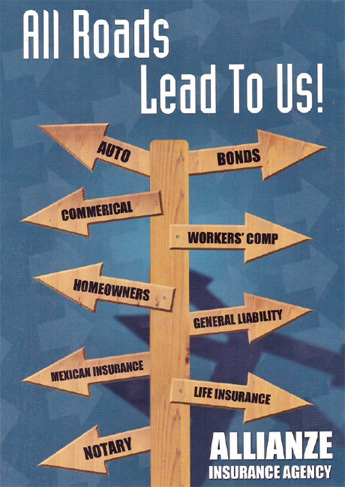 Our insurance agency has been serving El Paso County and the surrounding areas for over 27 years. We are a member of the Independent Insurance Agents of Texas (IIAI). Protect your properties, investments, and yourself from unfortunate situations that are beyond your control. Secure sufficient insurance coverage from us. Here at our agency, we have your best interest in mind. Our agents will present you with several insurance coverage options and help you select the right one. Plan ahead and have the protection you need at a price you can afford. Seek assistance from our agency to apply for the coverage you want for your health, home, or vehicle. Contact our office today to inquire or schedule an appointment with one of our agents.